Join us for a week’s Wine Tour Holiday in Santorini, The island that has, at times, such strong wind that it can only grow vines a short distance above the ground, and which has so little water that it does not irrigate its vines at all – and in spite of this, is famed for its great wines with their unique character and flavour. As in Portugal’s Douro Valley much emphasis is given here to gaining quality through traditional pressing of grapes by foot. The dates: are 21st to 28th July 2014. The price is £897.00 per person (based on two people sharing). We have an exciting program of wine indulgence lined up for you and plan to engage you in wine activities on three of your seven days. We also invite you to join us on your last evening for a splendid meal in a fabulous setting, whilst watching the sun set at Oia. One of your wine days will be taken up with a visit to three distinctly different wineries, and we’ll taste a total of twelve wines. 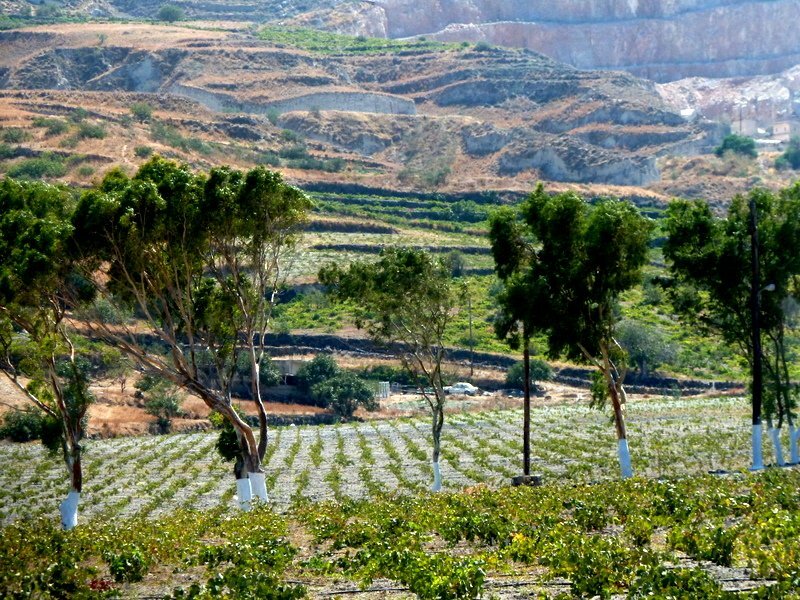 We’ll also visit the prehistoric site of Akrotiri and learn of how wine was made on the island 6500 years ago. 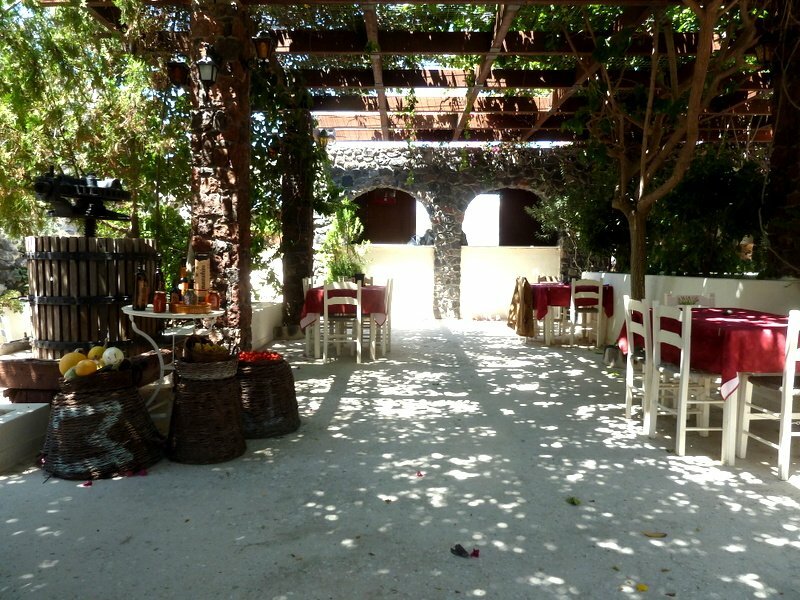 We will stop for lunch at a nice Greek Taverna. Another day will involve learning about Greek Cooking from a Greek Chef at a traditional Greek restaurant. And then you’ll eat the food you have prepared at the restaurant. We will also visit another winery in the afternoon. A third day will take us on a visit to Koutsoyannopoulos wine museum and winery which has produced many award winning wines. We’ll visit at least one other winery and have lunch. We are going to leave you time to enjoy other activities like swimming and boat trips such as to the still live (but slumbering) Volcanic island of Nea Kameni or the nearby island of Ios. See our facebook albums “Journey to the Centre of the Earth” and “Win a Day Trip to IOS” Wines and Tours – Facebook page. First four people to book this Santorini Wine Tour by 30th September 2013 will be entered into a draw for a FREE trip to one of the above-mentioned island boat trips. 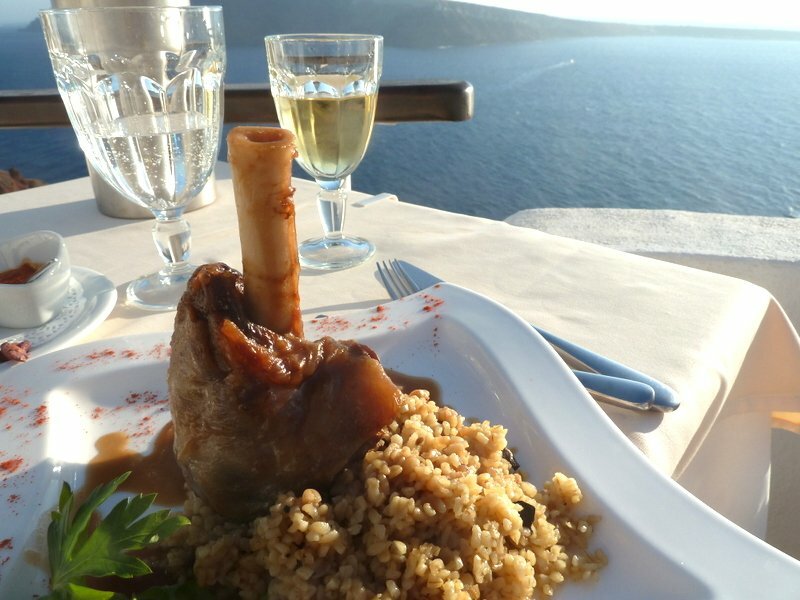 Our tour will draw to a close on a high note with a memorable meal at a superb restaurant at Oia where we will accompany our meals with several Santorini wines while we watch the famous spectacular Oia sunset.